From July 16th 2018, a long 2-year-wait will start. To follow day by day the waiting, it exist many smartphone app. Here, I will present you 2 of them. My device is a android one, so I don’t know exactly if you will find the same app on iPhone, hope you will. 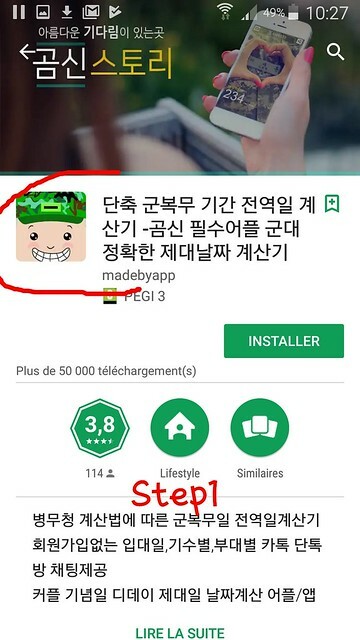 Step 1: Search for 곰신 스토리 on Play Store. As the complete name is a bit long, be sure it’s the same icon, with the smiling little guy and his military cap. Download the app. Step 2: Once the app is download, open it. You will get the screen as ‘step 2’ pic. Please click on the third icon, the one who look like a ID card. 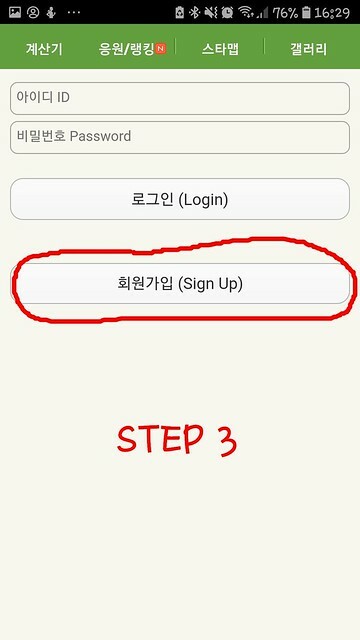 Step 3: Ok, take a breath here, everything is in Korean but if you follow me well, it should be ok. You will now have to enter the information about our Jang. 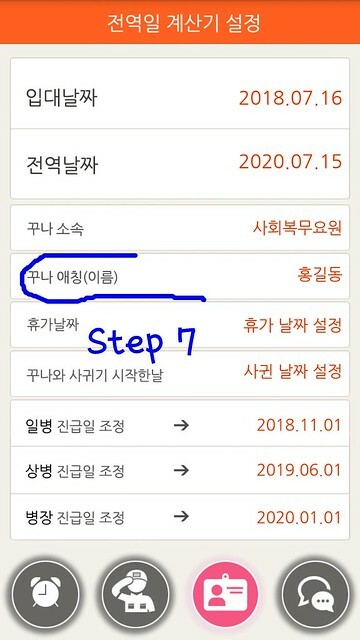 Click on the first line, it’s to set his enlistment date. From this, it will calculate automatically his discharged date. 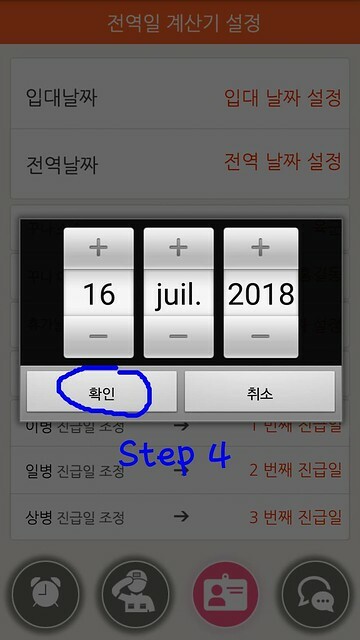 Step 4: Set the date to July 16th 2018 then click on left button 확인 (Validate). 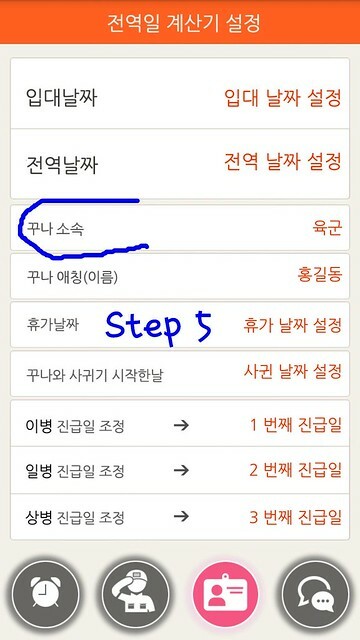 Step 5: Click now on the 3rd line. It’s to set what kind of service he will do. As you may know, because of his bipolar disease, our Prince got grade 4 and so will serve as a public worker. 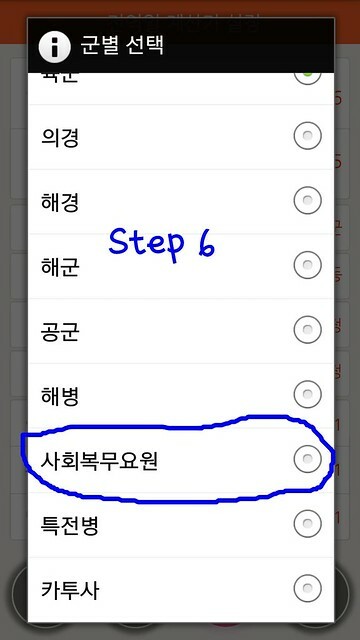 Step 6: The random chose is 육군 (active soldier). 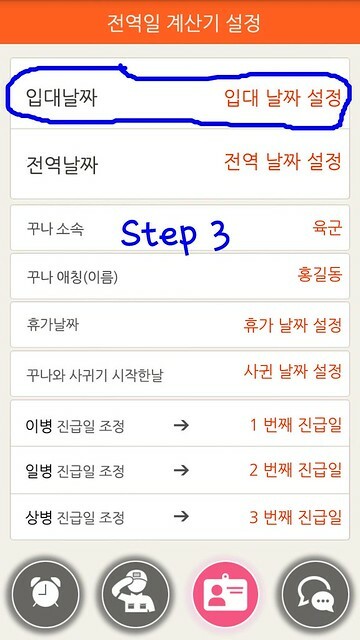 For our case, you have to scroll down a bit ‘till 사회복무요원 (public worker). Step 7: Click on the 4th line. It’s to set the name of our soldier. Choose as you wish obviously, it doesn’t really matter. Let the others lines, it’s automatically calculate. 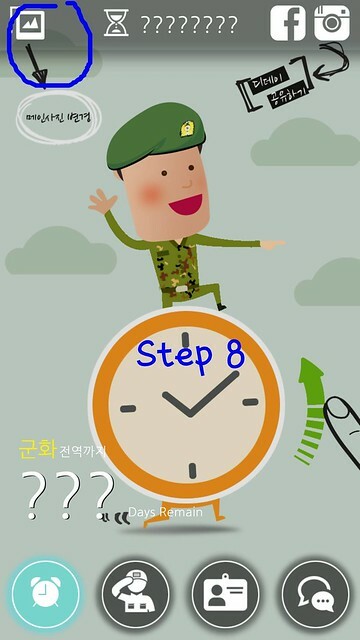 Step 8: Ok, let’s make the app fancier by adding a pic of our Prince. Click on the pic icon on the top left corner then choose the pic you want to use. Step 9: Once you will have choose, they will ask you to resize it. 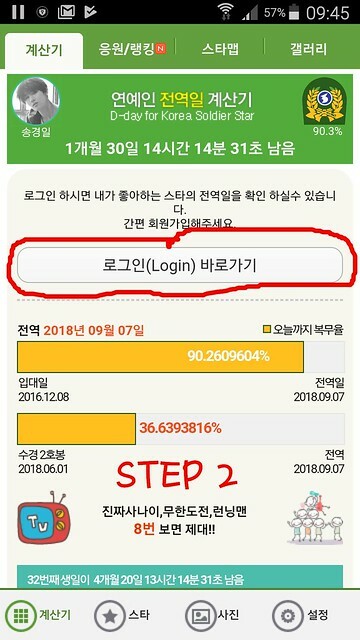 Do as you wish then click on 저장 to validate. Finished : Now its ready to operate! 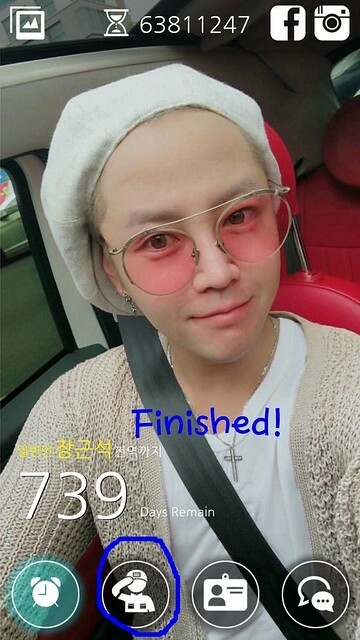 You will see it there is (from the date of today) 739 days remain before our Prince come back to us. Please, click on the second icon for details. Details: The 2nd board will let you know the progression of his military duties. 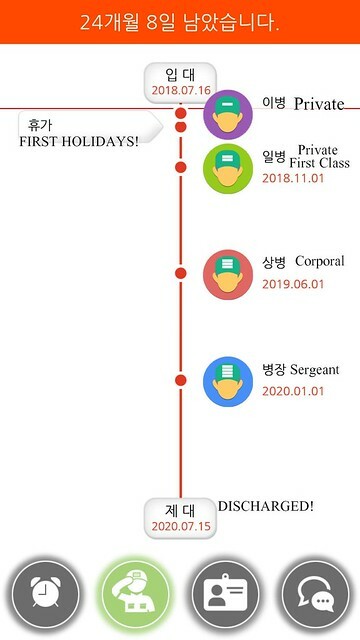 It give you information about when will be his first holidays, at which date he will change (even if I think it may be a bit different as he will not be active soldier, I don’t really know actually) and of course, his discharged date! 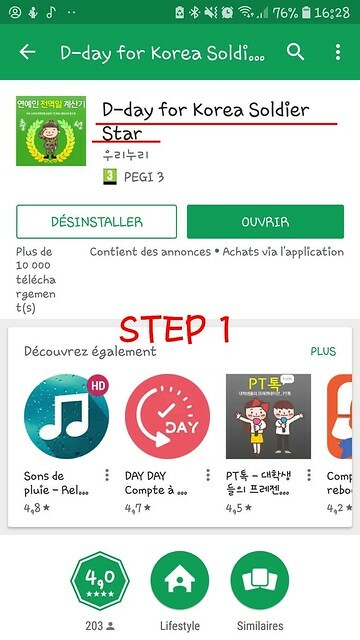 Step 1: Search “D-day for Korea Soldier Star” app on your Play Store then download it. 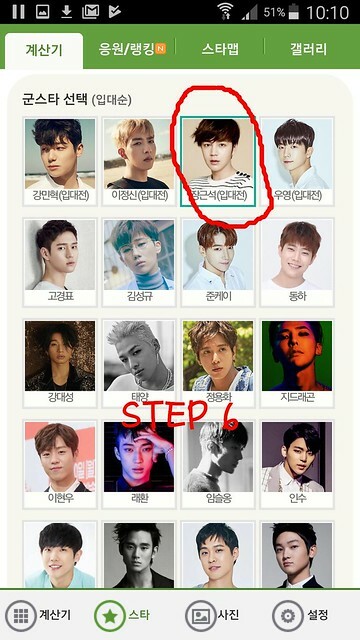 Step 6: As our Prince appear amongst the celebrities who recently announced their enlistment, he will be on the first line. Please click on his pic. 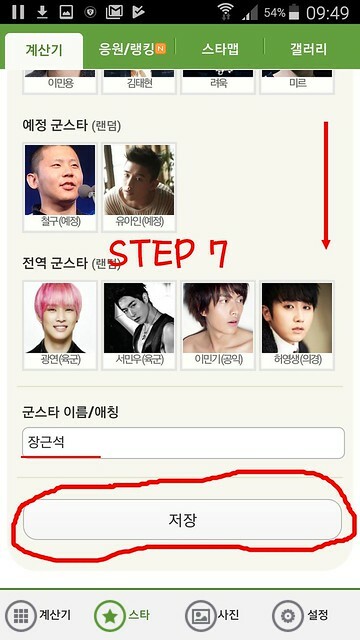 Step 7: From the previous step, scroll down a bit till the bottom. 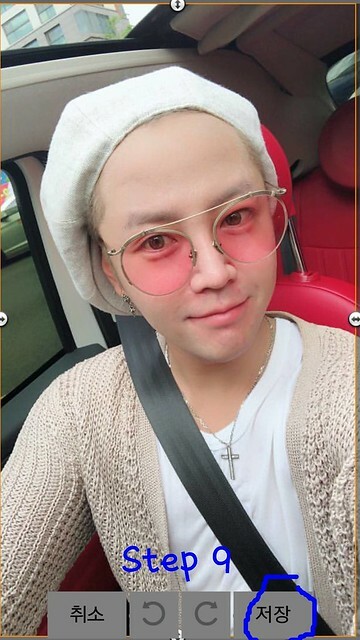 On the line 군스타 이름/애칭 please write 장근석 (Copy paste from here if you can’t use hangul keyboard. Then click on 정장 to validate. Finished: You get this screen and the app is ready to operate! If you scroll down a bit, you should have the information too about when he will upgrade.